Based on my recollection of the last conversation I had with Ingo Swann, we determined the following to be true: as per our understanding, and in as basic a language as possible, upon physical death, our souls revert back to the Earth via a process of reincarnation. The key to overcoming this cycle - the “out”, if you will - is to reincarnate as a self-conscious, independent, spiritual entity on another planet; preferably on a planet that finds itself operating on a civilizational level above that of our Earth. Earth is a Level Zero Civilization. In a Level Zero Civilization, money is the Matrix that all people are trapped in. Ingo Swann wanted to escape this Level for many reasons, including the fact that it costs too much simply to live; food, clothing, lodgings, various types of insurance for health, home and vehicle, all manner of expenses relating to fulfilling the most basic elements found in Maslow’s Hierarchy of Needs. This situation renders every man and woman an indentured servant to the System. Even worse, a Shadow Government rules our world. It’s corrupt and we are not free. 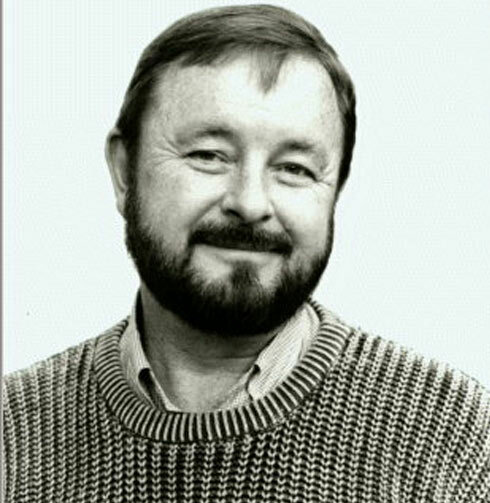 Before I describe the civilizational circumstances in which Ingo Swann now finds himself, in contrast to our own, I should reveal that the information I am about to impart has come to me via such varied means as telepathy, being open to Dreamtime communication, and other signs and wonders, all made possible thanks to my lifelong connection with Swann ... a connection that endures to this day. These fragments are what I was able to witness of this alternate reality; which is our potential future destiny. On his new home planet, Swann lives in a beautiful, functional, permanent home in the shape of a geodesic dome, on a large, idyllic nature preserve where there’s no rent to pay, and no utility bills to take care of because Zero Point Energy has eliminated the need for money. Instead of having to spend most of his time performing menial tasks and doing pointless busywork simply in order to earn enough money to keep himself fed and keep a roof over his head, Swann is allowed to choose meaningful work for which he has an inherent aptitude. He is empowered to explore his passion, to live out his bliss, leading to undreamed of levels of spiritual fulfillment, not only for himself, but for the society as a whole. He is able to tap into his talents, strengths and genius to the benefit of all. For lunch, he flies his flying car to a park, and partakes of a buffet style community meal, eating Vegan food laid out on picnic tables. Swann chooses what he wants to eat, sits down under a tree, and enjoys his meal while friends keep him company and engage in intellectual conversation using TELEPATHY! The residents of a level one civilization all have KINETIC Psychic Ability, which they use daily and is known to be a dormant potential sense latent in the frontal lobes of earthlings. All of the goods and services on the better planet are done without any money exchanging hands. So why has Ingo Swann been given this extraordinary privilege, to live the kind of utopian life that we can only dream of here on our degraded, dying, crappy rock of a planet? It’s because he did his spiritual work on Earth. And the key to this is learning the Bible. (Basic Instruction Before Leaving Earth) Swann put the 613 good deeds into daily practice so that it was written on his heart and he could be trusted to act that way on his new planetary home. An exponential increase in personal Values! Morals! Ethics! In the meantime, for us mere mortals following in Doctor Swann’s footsteps, a study of Exopolitics leads us to famed ufologist Dr John Mack, who states the following three points as a recurring theme related to him by numerous contactees over the course of his career. First, that this Earth is dying due to environmental degradation and wars caused by human greed. Second, that we have lost connection with what the aliens and the humans that have these contact experiences call Source or Home; the Divine Source of Creativity... The Light. The reconnection to Source. As they have been worked on by aliens and received some sort of DNA upgrade enhancing psychic (of the soul) abilities making them better people and a more decent human being. Opening oneself up to the reality of the Subtle Realm prepares one to be a Contactee and have peak experiences which lead to spiritual evolution and personal development as each individual changes the aggregates add up causing an imperceptible paradigm shift in society as a whole. The "Union with Source," a return back home gained through a shifting consciousness on the planet is accomplished by practicing techniques to diminish the ego, live in harmony with the environment, a non-dualistic, holistic mind set of unity consciousness. The current materialistic, scientific worldview is replaced by a more enlightened spiritual one thereby creating a heaven on earth. The planet where Ingo is now, is the same home as the alien who communicated with Ingo and Edgar Mitchell during the Apollo 14 mission way back in 1971 where they made a “technology transfer” in the form of a otherworldly textbook explaining Zero Point Energy which got suppressed by earth politics and Big Oil interests as revealed in previous articles on this website. Swann freed himself with the power of his mind and by doing the work to ennoble his character. He was ready to graduate to a level one civilization learning all of the lessons he had to while here on earth. The earth as a whole needs to go through a cleansing process and make a cosmic correction or risk the worst case scenario of staying in quarantine and not becoming a member of the galactic federation. Swann as an individual learned the lessons of the Advanced Beings and then he graduated. If Ingo Swann did it, then you can do it too! When the time comes for me to shuffle off this mortal coil, my goal is to reach for reincarnation among the beings who have been able to transform their consciousness into a planetary civilization at a Level One or even higher.